In view of our Cozy coat's success last winter, we have created its spring version, lighter and in spring and summer tones. Still the same teddy effect, very high quality and so trendy right now ! 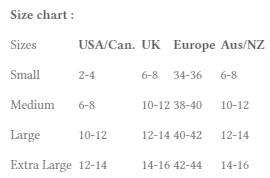 Height TOTAL LENGTH-- S : 100 cm/39.4" - M : 101 cm/39.8" - L : 102 cm/40.2" - XL : 103 cm/40.6" -- SLEEVE-- S : 61 cm/24" - M : 62 cm/24.4" - L : 63 cm/24.8" - XL : 64 cm/25.2"
Width SHOULDER-- S : 39 cm/15.4" - M : 40 cm/15.7" - L : 41 cm/16.1" - XL : 42 cm/16.5" -- BUST-- S : 104 cm/40.9" - M : 109 cm/42.9" - L : 114 cm/44.9" - XL : 119 cm/46.9"
Je voulais vous remercier d'avoir envoyé mon colis aussi rapidement je l'ai eu à temps et je suis conquise merci beaucoup !